Empty Nose Syndrome (ENS) has unfortunately been a controversial diagnose amongst Otolaryngologists (ENT physicians). Many ENT physicians in the past refused to seriously acknowledge the patients moderate to debilitating and paradoxical symptoms which developed after re-sectioning of the inferior turbinates (I.T's) in particular the anterior portion or whole I.T. and/or part of the middle turbinates. Victims of ENS had suffered double victimization because their surgeons would defensively and reflexively write them off simply as unhappy patients who must of coincidentally developed a latent mental health problem after their turbinectomies. There are still some obstinate ENT physicians that still reject the diagnoses outright but many are finally waking up largely due to the ease of information available on internet where publications have scientifically explained the victims host of complaints. The person most responsible for shedding light on this topic was retired surgeon Dr. Eugene Kerns of Mayo Clinic in Rochester Minnesota. He is credited for coining the term Empty Nose Syndrome. He says it took about six years, on average, following surgery, for the residual tissue of the nose to fail, in his Empty Nose Syndrome patients. In past decade Dr. Steven Houser has been recognized as a pioneer in the field offering surgical acellular dermal implant (alloderm) and injectable liquid alloderm (cymetra) for ENS. Alloderm implants have already been implanted successfully for a few years now in a small but growing number of ENS patients. At four years follow-up, results seem stable and encouraging. It seems that Alloderm implants can't fully cure ENS but can help alleviate the symptoms with various degrees of success, depending on the individual condition of each patient. It is difficult or virtually impossible to use Cymetra on its own to achieve a large volume implant, but it can be used successfully to further augment prior Alloderm implants, thus perfecting the initial result achieved with regular Alloderm. Development of Empty Nose Syndrome? excised tissue. Most surgical patients will never develop ENS. (e.g., allergy medications in the face of allergic rhinitis) has failed. appears safe, as do conservative submucosal reduction procedures. and laser reduction) should be abandoned in favor of safer techniques. 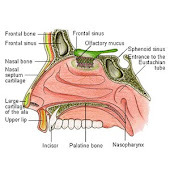 Poster nose1 on ENS forums has stated even a smaller amount of tissue being removed in such a way that leaves the mucosa damaged can lead to severe ENS symptoms. For example, turbinates that have been cauterized can result in quite severe ENS symptoms. The term Empty Nose Syndrome fits descriptively well with those who have a structural turbinate deficit. 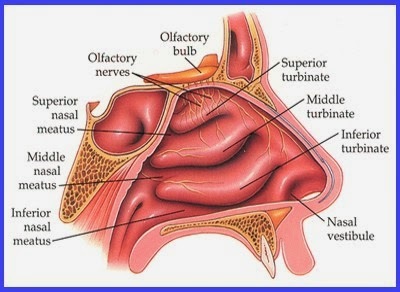 But for those with nasal mucosa dysfunction and little to no structural deficit perhaps a more fitting term would be Nasal Mucosa Dysfunctional Syndrome (NMDS), if I may be so bold to coin a condition. Some who have had their turbinates excised will more likely have a combination of the two. The degree of how much mucosa is damaged/removed will likely coincide with the severity of one's symptoms. In regards to the Inferior Turbinate there's another factor at play. In partial resectioning of the I.T. resectioning of the anterior portion is much more likely to result in ENS then resectioning of the posterior portion of the I.T. I myself can testify to this because my first turbinate surgery consisted of lateral and posterior excision of the I.T's. This did not cause me any ENS. However after my anterior portion was removed in another surgery years later i started to develop some of the symptoms associated with ENS. However I should point out a caveat here is that almost all my left I.T. is now missing. I don't have all the symptoms likely b/c my anterior portion was excised submucosally. However inbetween those two surgeries I had underwent a cauterization procedure. Note: I also did not experience ENS symptoms after my cautery of the I.T's where I then had partial lateral anterior I.T's and medial flap of the mucosa which was rolled up to form a smaller medial turbinate performed by the surgeon who performed my first turbinectomy. Another treatment option now being explored for reducing ENS symptoms is PRP or PRL injections into the nasal cavity. PRP has been applied for a some time in different applications (for e.g. nerve injury, bone repair and oral surgery), but only for a relatively short time for the nose. The PRP might bring the nasal mucosa to a healthier level. PRL is combining PRP with a lipotransfer. A lipotransfer is taking your own fat and placing it to another part of your body. The fat contains adult stem cells, which showed good regenerative effects. The stem cells in the fat can be enriched. Lipotransfers are used for example in breast augmentation/ reconstruction, smoothening wrinkes and other tissue defects. The therapy consists in the matching between platelet growth factors and mesenchymal stem cells from adipose tissue taken from the abdomen / buttocks / hip of the patient, through a small liposuction under local anesthesia. The adipose tissue is centrifuged and purified and subsequently combined with PRP: is thus obtained a compound called PRL (Platelet Rich Lipotransfer), which will be injected in the nasal mucosa in order to stimulate the regeneration of the turbinates and of other atrophic areas in nasal cavity. world in an effort to provide patients with advanced and rare sinus diseases with cutting edge therapies. Hyaluronic acid gel in the treatment of empty nose syndrome. Acellular dermal (alloderm) grafts versus silastic sheets implants for management of empty nose syndrome. The objective of the study is to conduct a prospective randomized blind clinical study comparing the efficacy and safety of use of acellular dermal (alloderm) grafts versus silastic sheets submucosal implants for management of empty nose syndrome (ENS). . Both graft materials are well suited to this procedure with no statistical evidence for a significant difference between them. The silastic implant is inert and yet incorporated into the surrounding tissue because of the fashioned macropores. It is available and inexpensive. Acellular dermis graft is reliable, predictable, and readily shaped. Patients of both groups showed marked subjective and objective improvements. The surgical procedure is safe and relatively simple to perform. Study of inferior turbinate reconstruction with Medpor for the treatment of empty nose syndrome. CONCLUSION: The reconstruction of inferior turbinate with Medpor is a new promising approach to treat patients with empty nose syndrome. N.B. My understanding is that medpor is difficult to remove if need be since it incorporates itself with other surrounding tissue's. Therefore one should be skeptical to this approach using medpor, silastic sheets (silicone) or any unnatural products inside the nose. Where can I get diagnosed with E.N.S. and where can I get treatment and surgery to help reduce symptoms, what's the phone numbers? Hello, after a decade of being misdiagnosed with chronis sinusitis following a total IT removal, I am here seeking answers for my moderate ENS. You mentioned you have been a patient. Have you had any of the procedures listed above performed on you? If so, what was the level of relief/success? Thank you so much for any response and much love to all those out there suffering from this misunderstood and tough syndrome.